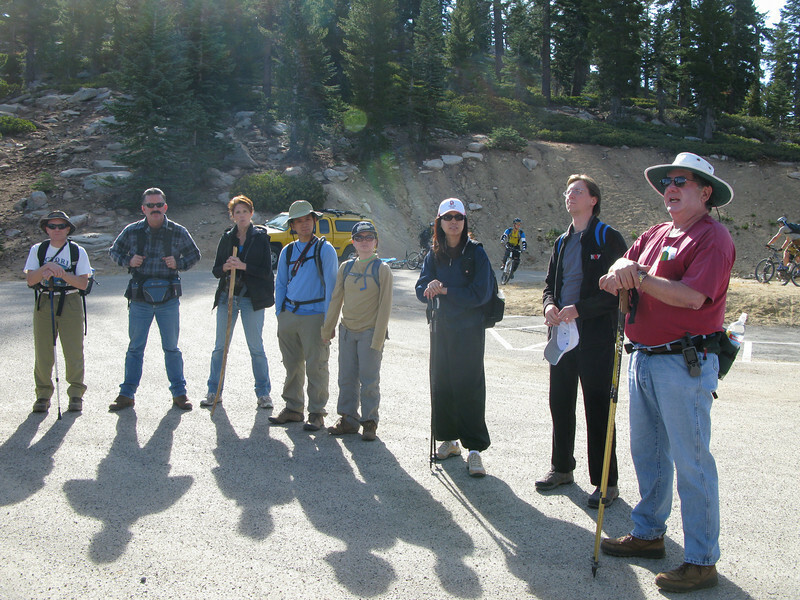 Saturday October 16, 2010; Lisa and I joined the KRVHC for a scheduled Fall Colors Hike. We started from Sherman Pass and hiked down to Little Trout Creek; then followed also the creek along Coral Meadow to reach a beautiful aspend grove with splendid colors. There were 24 of us hiking this day.